User Group Focus is a deep-dive, educational conference dedicated to the success of Microsoft Dynamics 365 for Customer Engagement & Dynamics CRM users. The User Group Focus Programming Committee is comprised of volunteers who worked diligently to create the final schedule. They determined the most relevant and useful session topics based on the community's session proposals, plus your comments, surveys, and feedback galore to provide you with the content you want. One dedicated member of this committee is Scott LeFante, Sr. Solution Architect, Hitachi Solutions America. Scott is an experienced CRM, Project Service, and Field Service specialist with over twenty years managing and developing IT solutions. He has designed, built, and managed CRM full-cycle implementations for a wide array of clients and industries, with a focus on delivering quality, cost-conscious applications in a timely manner. Scott possesses exceptional managerial leadership skills, with extensive client-facing work, including C-Level executive meetings and presentations. Scott specializes in Field Service and Project Service and has written and spoken at various Microsoft conferences regarding both areas. 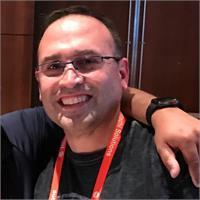 He is also a Microsoft MVP and co-host of the At Your Service Podcast on the CRM Audio Network. In this Q&A, Scott shares why User Group Focus is an invaluable learning opportunity for the community. "I enjoy meeting the new community members, sharing my insights and answering questions from the community." "I am not excited about any one session. I am truly excited about all the various sessions. Being a field service and project service expert, I may have to focus more on other areas such as the Power Platform and seeing/hearing the exciting content they provide." "We get to dive a bit deeper on functional and technical topics. That extra 30 minutes for sessions is crucial to ensure we bridge the gap between not providing enough insight and providing just enough to get folks interested and wanting to know more." "There are sessions for everyone; from AX to CRM, the Power Platform, Nav and more. With so many topics available in each track, companies are bound to find a speaker that can help resolve problems or help them get on the right track." "The intent of Focus is to provide that more in-depth functional or technical content. As such, attendees can pick areas they want to learn more (or are passionate) about and hopefully use this as a springboard to continue that journey forward." A truly unique learning experience, User Group Focus is heading to Houston – the largest city in Texas, March 11-12, 2019. Come take your education to the next level with immersive, intermediate-advanced sessions on Microsoft Dynamics 365, AX, and CRM. Attend 90-minute educational sessions in targeted tracks for all product versions. Connect with peers who face the same challenges on a daily basis and gain actionable takeaways. Learn from MVPs (like Scott! ), All Stars and other Subject Matter Experts. Interested in learning about the Power Platform? Add on a consecutive User Group Focus event! Learn more. Thank you, Scott, for serving on the User Group Focus Programming Committee! Will you be joining him this March in Houston?